1) According to Albert Mehrabian, UCLA professor emeritus of psychology, 55% of communication has to do with body language. 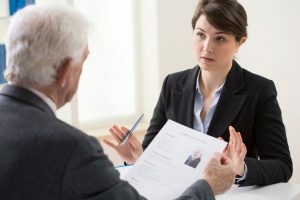 Therefore, it makes sense to learn how to decode an interviewer’s body language and how to minimize your own body language mistakes during an interview. 2) People think of and remember images much better than they do words or text. When watching a movie, do you remember the images or the actor’s lines? You can see it’s imperative to convey a strongly positive image during an interview. It starts with the proper clothing and includes posture and a smile. An attractive image is memorable and catching. 3) Consider that the interviewer is the final authority of the outcome of the interview. The interviewer is the one who makes the decision. The best kind of interview contains professional and amicable dialogue, but at the end of the day, the candidate has to convince the hiring manager of being the ideal candidate. Must bring evidence of possession of the skills required to perform the job. Must be a superhuman performer, not just an average one. Must be able to discuss validation by influential others, not self. 5) Providing good interview answers is essential, but asking the right questions is at least as important. Ask strategic questions. Strategic questions are those types that bring the candidate closer to the goal of getting the job offer. Don’t ask tactical questions like how to do certain things, because asking tactical questions puts doubts in the interviewer’s mind. After all, the interviewer expects the candidate to have answers. That’s why the candidate is interviewing. 6) Typically, there are four types of interviews with very different objectives. An interview with the big boss. An interview with the hiring manager. An interview with a human resources representative. Each of those kinds of interviewers evaluates a candidate’s answers from a perspective different from the other interviewers’ perspectives. 7) Candidates are often too long on their past. In evaluating the applicant’s candidacy, the interviewer is focusing on the candidate’s future. And candidates should, too. 8) Interview preparation is key. Before an interview, most people prepare for perhaps only a couple of hours. That’s by far inadequate when there are several other candidates with excellent potential. 9) If the position a candidate is applying for is of great importance, the best approach is to work with an experienced interview coach. This is the differentiator, as opposed to those who prepare on their own. 10) Get used to twenty-first-century technology. For instance, more and more companies are using video interviews prior to in-person interviews. This demands another layer of hardship and complexity in addition to being prepared with content. For example, proper lighting, good quality of sound, and favorable placement of the camera at eye level are essential. If you’re using a laptop placed on the desk in front of you, it may be likely that the interviewer will focus more on your accentuated double chin and not your eyes. Whom do you serve? or, Who are your customers? What value do customers perceive in your services? What do you offer that customers can’t get elsewhere? 12) The relationship between the interviewer and the candidate is identical to the relationship between a salesperson and a buyer. You’re the salesperson here, so be convincing by offering facts and not opinions. Otherwise, you won’t be fully trusted. 13) Last, in order to be hired, a candidate must leave the interviewer with good feelings about the candidate’s trustworthiness and likability. If you excel in many of these interview tips, chances are good that you will beat your competition and the job offer is coming your way. This entry was posted in job search advice on March 13, 2019 by Alex Freund. Growth, evolution, changes. Technology may be a wonderful thing, but it has negative elements—especially if you’re in transition and looking for a job. Why? Perhaps you don’t know how to conduct a contemporary job search. Well, that may not be true, and don’t blame yourself. Two decades ago, applicants would submit their IBM Selectric–typewritten résumés to companies’ personnel offices when applying for jobs. Today, applicants modify and tailor their word-processed résumés to include many of the keywords they pick up from job descriptions themselves because applicants know that companies’ applicant tracking system softwares rate those keywords high when hiring managers make queries. Regrettably, in the current economy, the job market is literally flooded with résumés to the point that résumés are clogging up the system and overwhelming the people making searches. 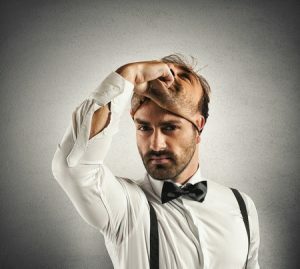 One study pointed out that a company’s applicant/candidate search surfaces way too many very qualified applicants because all of the applicants’ résumés have the right keywords—which causes yet another problem: yes, the computer mechanically selects résumés based on skills and keywords, but the hiring manager is looking also for a good fit into the company’s culture. And that’s the reason companies conduct multiple interviews. If you’re asked to come in for an interview, it means you had sufficient keywords to convince the hiring manager that you have the skills to do the job. But now comes the second test, which for some is more difficult. In the next hour or so, during that interview, you have to convince the interviewer(s) that in addition to a skill set, you have the personality traits to make you a welcome employee in their organization. For example, you show your passion and excitement for the job and the work; you’re an excellent communicator; you have a pleasant demeanor; you’re not argumentative, opinionated, or abrasive; and you possess all the qualities of the ideal candidate. It is hoped that the interviewer’s boss would comment favorably on your selection and that your future peers and subordinates would praise you in your absence. This is a tall order, because all of the other candidates of course have good skills too; otherwise, they wouldn’t have been selected for interviews. So, what’s the key to success? There are two answers: (1) prepare for the interview by practicing, practicing, practicing mock interviewing with an experienced interview coach, and (2) learn how to be an actor. In fact, while interviewing, you are an actor onstage, and those interviewing you are watching you perform and judging you based on that performance. With proper and adequate preparation, you should be able to outshine your competition. Good luck with the offer—and congratulations on being a good student and open for new and helpful ideas. This entry was posted in job search advice on February 6, 2019 by Alex Freund.